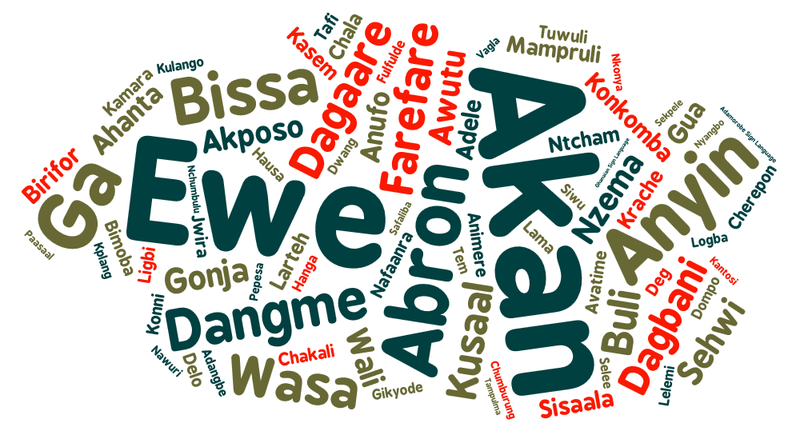 This is a language cloud of the names of the languages spoken in Ghana. The size of each name is relative to the number of people who speak the language as their heart language, or mother tongue. Click on the image to bring up an interactive version of the cloud. Click here to download or enlarge. This entry was posted in Ghana, Heart language, Language and tagged languages of Ghana. Bookmark the permalink.